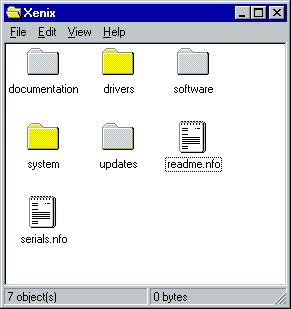 The pack provides almost everything you might need to run Xenix on mc68000 and x86 platforms. This pack aims to make your Xenix experience as good and easy as possible. Xenix computing never was so easy! All trademarks belong to their respective owners. Ola's Ultimate Xenix Pack contains only software that has been released as freeware or for free usage for Xenix license owners. All proprietary/paid software redistributed here is considered as abandonware and it's released only for historical/educational purposes.